Are you wondering on how you can organically get rid of powdery mildew? Have you heard about using potassium bicarbonate for powdery mildew? Get to know more about it and how you can prevent this powdery mildew from invading your plants again. More and more people are having problems with the appearance of their plants, especially during the summer season. One of the most common diseases that can be found is the powdery mildew which makes the leaves looks ugly. One of the plant diseases that is most commonly seen today is the powdery mildew. The good thing about this disease is that it can easily be spot on because the fungus will start forming a gray or white powdery film on the fruit, stems, and the leaves of the plants. Due to this plant problem, more and more garden owners are looking for ways on how they can organically get rid of this powdery mildew. One of the most organic ways on how you can get rid of this mildew is by using potassium bicarbonate. Get to know the wonder of this treatment, by reading the information below. When the plants’ leaves turn into yellow or brown and start curling, then this just means that the disease is already in the advance stage. This will make the plant to prematurely defoliate. On trees and plants that produce flowers, the fungus can instantly lead to early dropping of the bud or reduce the quality of the flower. Controlling powdery mildew from advancing and entirely ruin your plant is essential. The best way to do this is to detect it as early as possible. Different products can help you with controlling and eliminating the problem at hand. Most of the products contain chemicals, which is why people are looking for different ways on how they can kill the powdery mildew without using chemicals. Fortunately, there are now organic ways to do that, and one is with the use of potassium bicarbonate, which has proven to be efficient and safe. Potassium bicarbonate is often one of the active ingredients that can help kill powdery mildew. It has been using as a fungicide and is not a new idea to the industry. This solution is made out of a gallon of water and an ounce of baking soda. 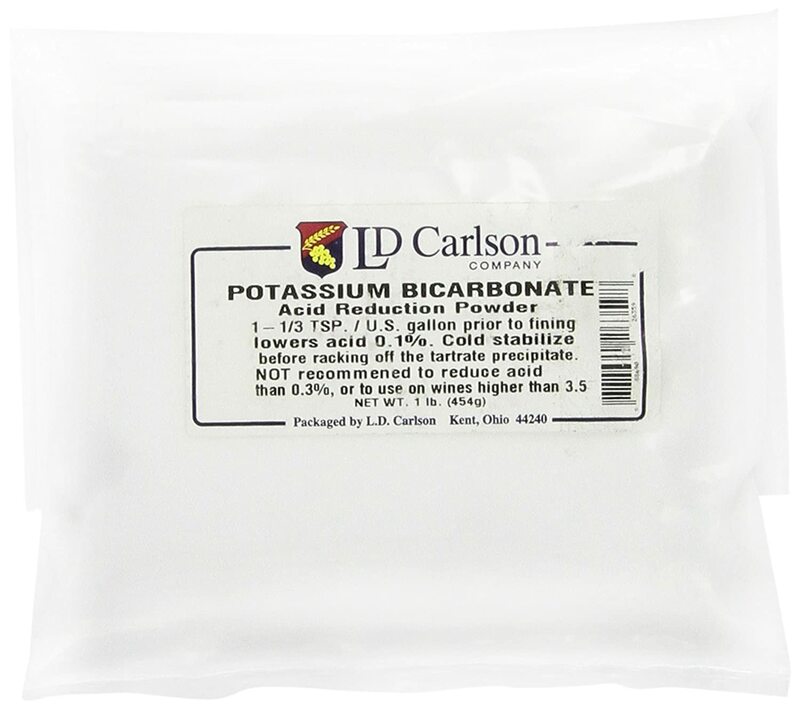 Nowadays, people are incorporating potassium bicarbonate to their solutions, and some are even adding other ingredients to make the solution more efficient. If you are having problems with powdery mildew, then knowing how you can make a potassium bicarbonate solution is essential. There are different solutions that you can do and choose the best one that is most convenient for you is important. The ingredients that you will need for this are a cup of cow’s milk, 3 cups of water and a pinch of potassium bicarbonate of baking soda. Start mixing all of the ingredients and pour it in bottle spray. Before spraying it, make sure to shake the bottle to combine all the ingredients equally. This solution is perfect for squats and rose leaves. ​The ingredients that you will need here are a couple of cups of watery cow’s milk, water, 3/4 teaspoon of soap, preferably non-detergent one and a teaspoon of potassium bicarbonate. Mix all of the ingredients and pour it in a bottle spray. Shake well before using it and make sure to spray it regularly on plants. If it rains then reapplication is needed. The ingredients that you will need is a tablespoon of dishwashing liquid, vegetable oil, potassium bicarbonate, and a gallon of water. Mix all ingredients and pour it in a bottle spray. Before using the solution, it would be best to shake it for the solution to be combined thoroughly. When spraying, make sure to include the leaves’ underside as well. Avoid spraying during sunny or hot days as this can cause the leaves to be burnt. The ingredients that you will need is a gallon of water, half a teaspoon of liquid soap, a tablespoon of vegetable oil, and a tablespoon of potassium bicarbonate. Typically, it is ideal to thoroughly spray the entire sides of the plant’s leaves, including the buds and the stems to ensure that they are free of powdery mildew. It would also be best to spray the leaves which are dealing with ﻿diseases every single week. Spraying once every 2 weeks will do to help prevent the powdery mildew from developing again. These are all the potassium bicarbonate solutions that you may do from the comfort of your home to keep your plants protected and for you to be able to get rid of the powdery mildew problem that’s been invading your lovely plants. If you are one of the many who’s been having powdery mildew problems, then the tips above will surely help you get rid of them. Just follow the solutions, and your garden will surely be on its way of having a free powdery mildew leaves.